When I attended a fair earlier this summer at Marcus, Iowa I also stopped in at the Marcus Historical Center. 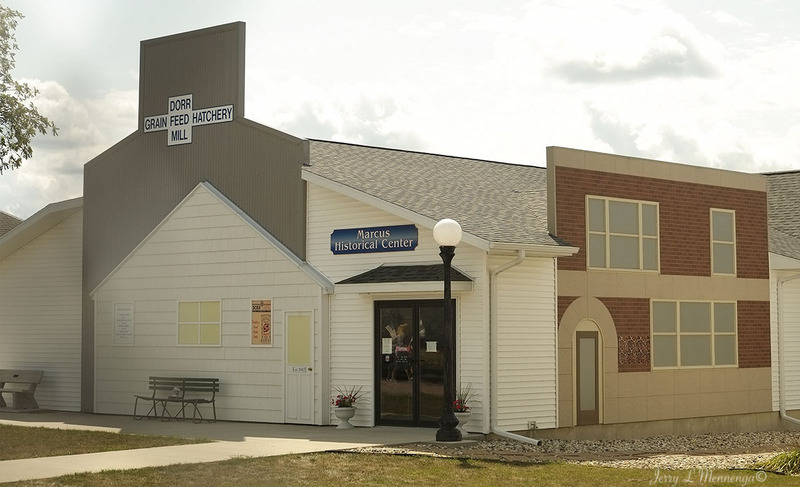 Most small communities have their own museum, or at least a place that is a repository of historical information about the community. It’s a great place when visiting somewhere new to learn more about the history of that place and get a better understanding of the community and area. At the time I was in the museum there were more older people looking and reminiscing about the “good old days”. Which to me always seems to be a matter of perspective and what side of the divide you happened to be on during that earlier period. But there were some families there with children in tow. Taking a break from the fair and “seeing” some history. And every place has different items and events to tell. Many have yearbook photos from early and later days as well as newspaper clippings depicting certain memorable events that took place. The old saying of “If you don’t know where you’ve been so how do you know where you are going?” always comes to mind when I visit these museums. A lot of smaller communities were more robust in their early years when the railroad was first making its way across the nation. Communities sprang up, thrived, and then began to scale back a bit as businesses ceased and residents left and larger communities started attracting younger people who moved for opportunity. And in some cases, the railroad left as well, leaving behind memories but no clear direction of where the community would be headed.